Designed by Monique Lhuillier, no less. When Monique Lhuillier released her inaugural Pottery Barn collection in the fall of 2017, the bar was set high. Inspired by her bridal line, Lhuillier infused the collaboration with dainty details, rose-gold hues, and romantic accents—the overall effect was one that aimed to celebrate the quotidian by creating a range of items that exemplify accessible luxury. The newest rendition of the ongoing partnership just launched today, and suffice it to say the mantel has been upheld. The spring 2019 line takes “bridal-inspired” to the next level by predominantly featuring pieces that are specifically made for wedding registries. The gold wine bucket with floral detailing, for example, or the 16-piece white ceramic dinnerware set, are both perfect for any newlywed couple’s entertaining collection. The wedding theme is taken even more literally with pieces like the Penelope Honeymooner Jewelry Wallet, a clutch decorated with pink watercolor-like flowers that has ample room for your jewelry collection whether you’re going on your honeymoon or you just want to bring accessories on vacation without losing them in the depths of a carry-on. Lhuillier’s newest collection runs the gamut from tabletop staples to plush bedding to bathroom accessories. 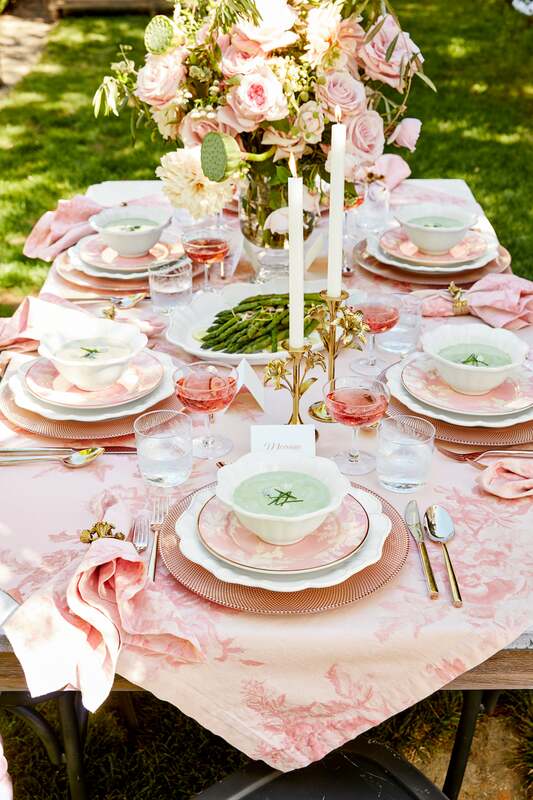 Most things are coated in a blush—the designer’s signature bridal color—and embody the same playful take on modern sophistication she is known for. Whimsical with just a hint of luxury, the line pairs particularly well with a traditional aesthetic. Sleek, modern lines and a minimalist sensibility are swapped out in favor of a more classic approach to spring design: soft, romantic, and anything but serious. Shop the new collection online at potterybarn.com.